Photo courtesy of McDaniel College Theater Department. On the night of April 15, right after the Spring Fling celebrations were coming to an end, Theater Department students prepared what would be their last show of the spring, and for some seniors, their last show in a while. 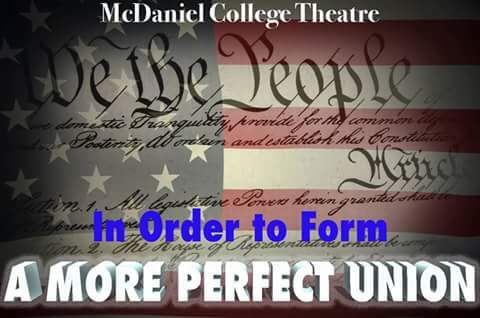 “In Order to Form A MORE PERFECT UNION” was written by the McDaniel College Devising for Theater class and was directed by Gené Fouché. The play was composed of a series of skits that showcased different yet current social issues. Each skit was a window into the minds of the students, revealing their views of these issues and the solutions they propose, if any. 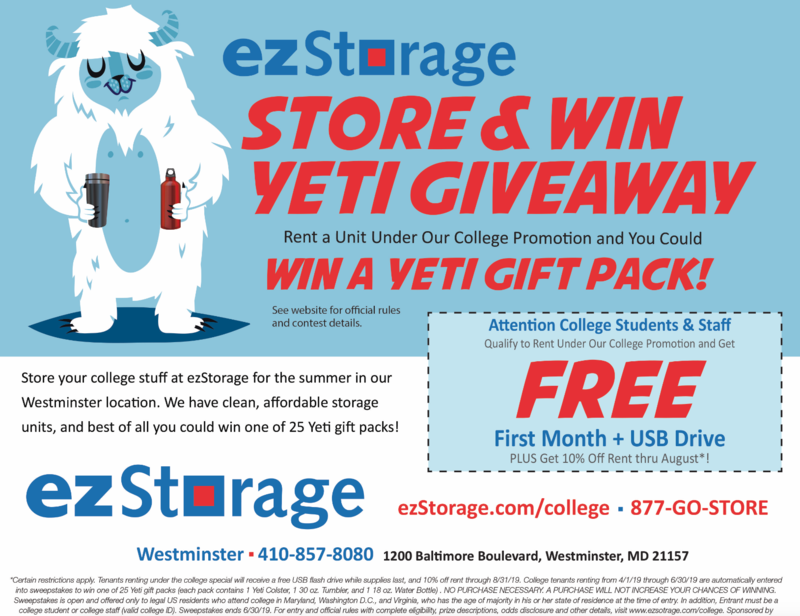 The performance took place in the Dorothy Elderdice Studio Theater, within the WMC Alumni Hall, commonly known as the Lower Stage by McDaniel students. The close, secluded and intimate setting allowed for the cast members to truly connect to the audience, making sure that their message was well received and impactful. The skits, as well as the issues they presented, varied in number and level of shock. Many of the skits focused on race issues, showcasing the many racial problems within our society. Among the most impactful was the skit that showed two families of different race having dinner together. In this skit, the students presented the way in which micro-aggressions happen all the time without the awareness of those who commit them. Another skit showed the double standards within society, showing how one’s race can totally change the meaning of an action. For instance, the students decided to show how a white person wearing a hoodie may pass as a person feeling cold, whereas a black person wearing the same hoodie may be perceived as a criminal. The performance did not shy away from women’s issues; on the contrary, many of the skits shone light on this controversial topic. The second skit of the night showcased a timeline of important events in women’s history. For this skit, the performers asked for the help of female volunteers from the audience. Each volunteer was tasked with holding a piece of paper with an important date in women’s history. Together, the volunteers and the female cast members constructed a comprehensive, yet incomplete and misrepresentative, timeline of events. To this, Megan Smith comments on the number of women that took to build a simplified version of women’s history, and how many more women would be needed to create a more comprehensible and complete timeline. Another skit featured cast member Alex Tolle giving a monologue about the condescending micro-aggressions and the double standards she received while having a girls’ night out. Her monologue spoke of how society views women, and what role it assigns them. Tolle gave her powerful and well articulated monologue while literally walking over fellow cast member Bryan Bowen—an action of women assertion over the patriarchy that dominates society. Many of the skits portrayed social media and the way it shapes and influences today’s society. One of the skits shows a naïve cast member, Joseph Fox, literally being pulled in all directions by social media and the news (represented in the skit by other cast members). With each pull, the different social media tried to shape Fox’s thoughts and beliefs, but in the end Fox was able to break from these influences and form his own opinions. This action, in a way, was presented as a possible solution to the new wave of false information brought by the new administration. The performance ended with a simulated battle between cast members led by seniors Antoinette Martin and Jennifer Shillingburg. The battle they presented had two clear, opposing sides, but it was impossible for the audience to distinguish which side was “good” and which side wasn’t, a purposeful decision by the cast to show that not one side is correct. The battle ended with both sides realizing that their fight only brings their own destruction and that in order to achieve peace, they must work together rather than fight. From race to women’s issues to social media and beyond, each skit showed how the cast members view today’s world. Though at times pessimistic, the reality they showed is not a fixed reality, as many of the cast members stated at the end of the show; on the contrary, the reality they showed is a reality that can be changed if people decide to take the next step, and if they begin to be the change they want to see in the world. Editor’s Note: In a previous version, a paraphrasing of Megan Smith’s words was used as an actual quote. This has been fixed and now the paraphrasing appears as such in the article.